4 Bedroom House For Sale in Airdrie for Offers Over £175,000. Presented to the market in first class order throughout is this superbly presented modern detached villa. The flexible accommodation on offer is currently laid out as entrance hallway with cloaks/wc located off, lounge, separate dining room with door leading to conservatory, modern kitchen , large utility room and downstairs bedroom with en-suite showerroom. On the first floor there are three bedrooms and family showerroom with double cubicle. 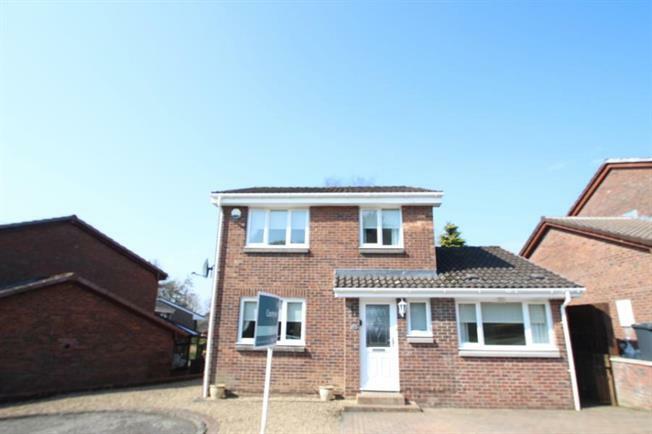 The property features gas central heating, double glazing and has a double monoblock driveway. There are private rear gardens with shed. Glenmavis has local shops and a primary school with main amenities and high schools available in the nearby Airdrie or Coatbridge. The village is ideally placed giving quick and easy access to the all the major motorway networks for commuting throughout the central belt.